For just a fraction of the cost of upgrading from the CLS 550 to the CLS63 AMG, you can add an AMG Sport Package, which brings staggered AMG wheels, an AMG sport steering wheel, and shift paddles like those on the more expensive model. The 2009 Mercedes-Benz CLS-Class has dramatic styling and a sleeker silhouette than most sedans, but at the expense of visibility and backseat space. TheCarConnection.com's car experts studied road tests of the 2009 Mercedes-Benz CLS-Class to write this definitive review. TheCarConnection.com's editors also drove the Mercedes-Benz CLS-Class and contributed driving impressions and details where they help you make a better decision. Mercedes-Benz dubs the CLS a “four-door coupe.” That’s not much of an exaggeration, as the CLS has a very aggressive, coupe-like profile even though it’s mechanically related to the more traditional E-Class sedan. In just its fourth model year on the market, the sensual Mercedes-Benz CLS-Class gets a mild face-lift for 2009, with a dramatic two-bar grille and a sleeker nose. New dual-five-spoke 18-inch wheels, a new rear bumper with trapezoidal dual exhaust pipes, and arrow-shaped LED taillights round out a few changes that make the CLS models quite eye-catching. The thoroughly modern exterior styling is met with a more traditional appearance inside, with plenty of real wood veneers; a new three-spoke steering wheel and white-faced instruments have silver backgrounds to give the instrument cluster a more dashing appearance for 2009. A center-console display incorporates Bluetooth for hands-free cell phone operation, voice control of audio and phone, and a six-CD changer. The CLS line includes two models: the CLS 550, powered by a 382-horsepower, 5.5-liter V-8 engine, and the high-performance CLS63 AMG, which sports an AMG-designed 6.2-liter V-8 that produces a muscular 507 hp and 465 pound-feet of torque. Fuel economy is less than that of most sedans; teamed with a slick-shifting seven-speed automatic, the CLS 550 gets 14 mpg city, 21 mpg highway—not a stunning achievement. The 507-hp CLS63 AMG is blurringly fast but even less efficient. The 2009 Mercedes-Benz CLS 550 has a well-balanced rear-drive chassis and an air suspension, but the ride is almost too living-room-sofa-like and the steering a little slow to respond. The AMG version is a welcome improvement, offering firm yet supple handling without much of a sacrifice in ride quality. Overall, the 2009 Mercedes-Benz CLS 550 has an appealing luxury feel that's the opposite of the taut, tightly drawn handling of a BMW 5-Series, for example. Interior room is at a premium, especially in back—the price paid for the sleek roofline, which tapers downward. The heated and ventilated front seats sit low, and the higher dash cuts down on visibility in front, as do the thick rear pillars. The rear bucket seats are quite comfortable, but headroom is at a premium and the CLS's bodywork draws in close, making the backseat feel claustrophobic. Because the Mercedes-Benz CLS-Class is made in very limited numbers compared to other luxury sedans, it hasn’t been tested by either of the two U.S. crash-test programs. But both versions of the 2009 Mercedes-Benz CLS-Class come with all the expected safety features, including traction and stability control, anti-lock brakes, side and curtain airbags, and even a Pre-Safe collision preparation system that senses if an accident is about to happen and tightens seatbelts before impact. A premium Harman/Kardon audio system, satellite radio, Bluetooth connectivity, and an iPod interface are among the standard features on all Mercedes-Benz CLS-Class sedans, while options include the Distronic cruise control system and Parktronic parking aid. The 2009 Mercedes-Benz CLS-Class remixes the E-Class basics with a sexier shape—and a more luxurious and sumptuous experience. Mercedes-Benz dubs the CLS a “four-door coupe.” That’s not much of an exaggeration, as the CLS has a very aggressive, coupelike profile. For 2009, the CLS models get a number of subtle styling changes—such as a new grille design and trapezoidal exhausts—that altogether add a little more spice. Kelley Blue Book says "nothing about the Mercedes-Benz CLS is as distinctive as its unfamiliar shape," in which the back blends into the rear C-pillars and trunk lid to create a "unique fastback profile." Edmunds sums it up: “More stunning in person than even the most flattering photography might suggest, the coupe like Mercedes CLS-Class has a visual presence that few other luxury sedans can match.” Car and Driver agrees wholeheartedly with Edmunds. When evaluating the pluses and minuses of this particular 2009 Mercedes-Benz, Car and Driver puts "visual presence inside and out" in the former column. The 2009 Mercedes-Benz CLS offers a softer, less edgy driving experience than dedicated sport sedans, yet there’s exceptional power on tap in either version. The 2009 Mercedes-Benz CLS is as charming to drive as it is to look at. Two powerplants are available in the 2009 Mercedes-Benz CLS-Class. The base CLS550 has a 5.5-liter V-8 with 382 horsepower. Edmunds assures prospective buyers who may not have the wherewithal for a V-12 that the V-8 engines are still "smooth and incredibly powerful." Acceleration is frenetically brisk, performance is rated as "excellent," and the seven-speed automatic transmission provides "crisp shifts." Car and Driver commends the automatic transmission, “the V-8 hooks to a seven-speed automatic that's as heartwarmingly capable as the engine itself.” ForbesAutos reports that the seven-speed transmission is standard and does in fact have manual shift capability for those who absolutely must shift their own gears—though this source says that "most will likely leave it in 'drive' and be done with it." The 507-hp CLS63 AMG is exceedingly quick and downright fast but even less efficient than the V-8, with a city fuel economy rating of only 12 mpg. This version blasts from 0-60 in a mere 4.4 seconds—which Edmunds calls "supercar territory." The more powerful, supercharged trim of the Mercedes-Benz 2009 employs a five-speed automatic, according to Cars.com: "It has strong immediate power, and it doesn't taper off as speed increases, making for no-sweat highway passing and merging." Both versions come with "steering wheel shift buttons,” Consumer Guide says. The C550 has an appealing luxury feel that’s quite the opposite of the tightly drawn BMW 5-Series. With a well-balanced rear-drive chassis and an air suspension, the base Mercedes-Benz CLS-Class has a ride that is soft bordering on pillowy, and the steering a little slow to respond; the AMG version tightens it up dramatically, with firmer handling response but ride quality that’s still good. 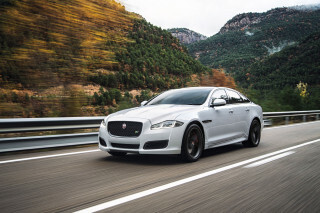 Kelley Blue Book says, "When a winding mountain road is part of the journey, the adjustable air suspension lets you dial in just enough stiffness to encourage a little coupe-like driving." ConsumerGuide, as usual, has the most to say about this Mercedes-Benz model's handling characteristics. Ride quality is "controlled and comfortable on any road surface despite sporty suspension tuning...[it] confidently absorbs bumps with little impact harshness." 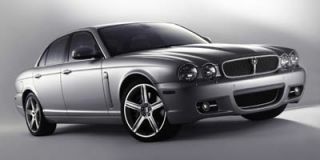 The car tested here "turns with grippy assurance, surgeon-precise steering. Any body lean in fast turns is minimal at worst," while "brakes have exceptional pedal feel and erase speed with no drama." Edmunds sums it up succinctly: The full-sized Mercedes Benz "handles like a smaller car." 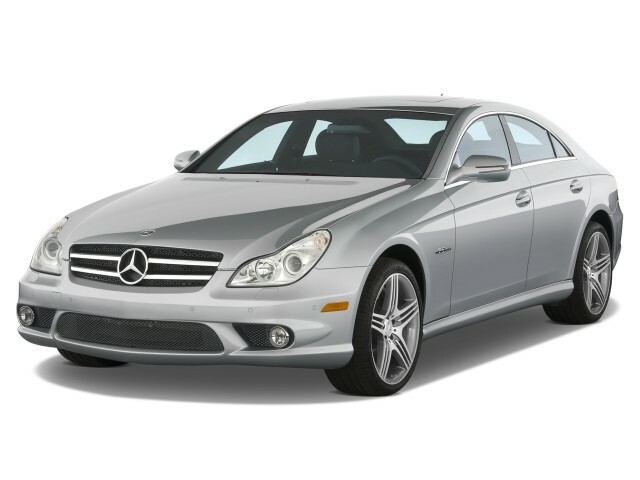 The 2009 Mercedes-Benz CLS coddles four passengers in ample comfort and decadent luxury. Front passengers especially are treated to abundant room, but the backseat is unduly tight. The 2009 Mercedes-Benz CLS’s front-seat comfort is almost unanimously praised by reviewers, but most find backseat and cargo space tight. Car and Driver and Cars.com suggest that rear space in the Mercedes-Benz CLS may be a bit "tight" thanks to the sloping fastback roof. Automobile observes, “The back seats are set low to clear the sloping roofline, but deeply scooped-out front seatbacks leave sufficient leg-room for six-footers, and rear passengers can set their own temperatures via the four-zone climate control.” In addition, the “coupe like roof line and tighter door openings can make getting in and out of the rear seats more difficult.” ConsumerGuide warns there is "little head space for those over 5-ft-9. Knee and leg room get tight for adults with front seats pushed well back." According to Kelley Blue Book, the Mercedes-Benz CLS has 15.9 cubic feet of cargo space, but ConsumerGuide points out that the space is not particularly efficient; the trunk of the Mercedes-Benz CLS is "long and wide, but not very tall," making it difficult to fit larger hard suitcases. However, there is "decent cabin storage [that] includes large, covered bins front and rear." In terms of quality of materials used and the cockpits’ construction, the 2009 Mercedes-Benz CLS lives up to expectations. ConsumerGuide says the cabin has "top-notch workmanship, elegant leather upholstery, numerous padded surfaces, and liberal use of soft-touch materials." Kelley Blue Book comments on the "impeccable dash stitching." ConsumerGuide also reports that noise levels are "the usual Mercedes-Benz combination of little wind noise and classy, mechanical engine growl," while "coarse-surface tire thrum [is] noticed but is never intrusive." Car and Driver agrees, saying, "even at wide-open throttle, your ears aren't exactly pummeled by sound," and even though the V-8 produces "enough volume to make the hairs on the back of your neck stand at attention...the sound remains refined by staying at some remove." The 2009 Mercedes-Benz CLS promises good protection with a full roster of safety features. Because the Mercedes-Benz CLS-Class is made in very limited numbers compared to other luxury sedans, neither the National Highway Traffic Safety Administration (NHTSA) nor the Insurance Institute for Highway Safety (IIHS) has performed any crash tests on the 2009 Mercedes-Benz CLS. However, the CLS’s list of standard safety gear is impressive. In addition to the full complement of airbags (eight in all, according to ForbesAutos), the Mercedes-Benz 2009 offers numerous high-tech safety features that are not found on every vehicle. These include the company's Pre-Safe system. This may be the ultimate in "smart car" accident-avoidance technology; when an "imminent and unavoidable collision" is detected, the system takes a number of protective measures automatically. Edmunds notes, “The 2009 Mercedes-Benz CLS-Class comes standard with antilock disc brakes, active front head restraints, stability control, side curtain and abdomen airbags at all outboard positions and a driver's knee airbag. Also standard is the PreSafe system, which, when it senses an impending collision (via rapid braking and steering patterns), automatically tightens up the seatbelts, closes the sunroof and positions the right front seat for optimum airbag protection.” Cars.com reports that this system "pre-tensions seat belts, moves the seats into a safer position and closes the sunroof." Kelley Blue Book notes that standard safety equipment in the Mercedes-Benz 2009 CLS models includes "electronic stability protection" and "an advanced electro-hydraulic braking system." The only negative issue noted is the Mercedes-Benz 2009 CLS's "low roofline and high beltline," which, according to ForbesAutos, can "impair outward visibility." In an otherwise mostly giddily gushing review of the 2007 model, Car and Driver says the high beltline "makes looking out of the car and around the various pillars like poking your head out of a trash can that's sitting in a jail cell." The 2009 Mercedes-Benz CLS caters to demanding technophiles, but it could baffle the technophobes. The 2009 Mercedes-Benz CLS models come with most luxury features standard, with only a few optional. Cars.com notes that for 2009, Mercedes-Benz offers "a few more standard options, including satellite radio and larger wheels." Kelley Blue Book reports the CLS550 offers "all the [standard] equipment you might expect of a sedan costing around $70,000." The list includes a sunroof, four-zone climate control, an LCD control center, and Tele Aid, which provide emergency and directional services (similar to OnStar). One feature of the 2009 Mercedes-Benz that is not terribly helpful, according to many sources noted by the experts at TheCarConnection.com, is the Mercedes-Benz COMAND—Cockpit Management and Navigation Device—system, which Edmunds deems "largely unintuitive." The wheel-driven controller that operates the navigation, climate, and audio settings is part a generation of similar controls from Audi and BMW that have met with universal dislike in reviews read by TheCarConnection.com. "Noteworthy options" in the Mercedes-Benz 2009 CLS, according to Kelley Blue Book, include "active HID headlamps, adaptive radar cruise control, front/rear park assist, heated and ventilated front seats, [and] air support front seats." They also mention that the Mercedes-Benz 2009 CLS can be loaded with a "Harman/Kardon digital surround-sound system, six-disc CD changer, hands-free voice control system, Keyless Go unlock and start and a rear-window sunshade."